Front cover art by Rob Plath. 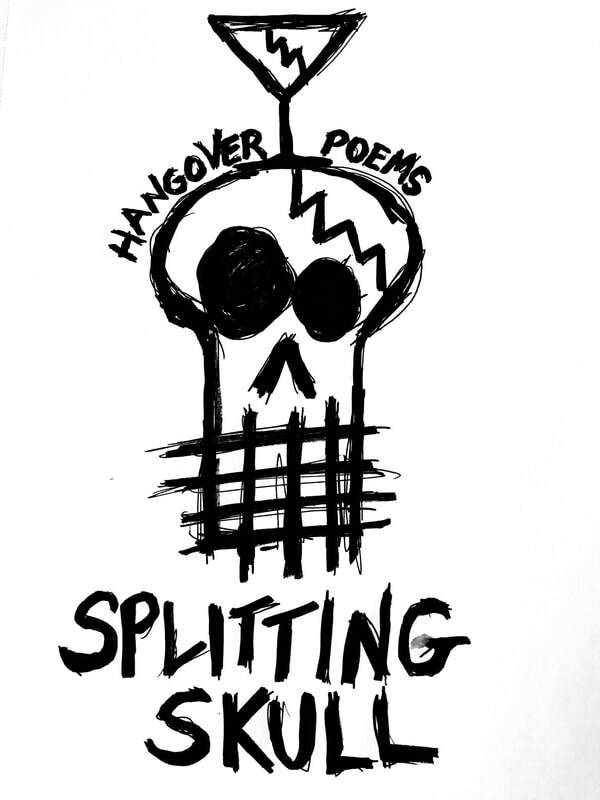 Submissions are open for SPLITTING SKULL: an anthology of hangover poems. Send up to five new or previously published poems that explore the theme of drinking, drunkenness, and the inevitable blood-sucking hangovers that follow. If your poems are previously published, please include which poems, along with publication name and publisher with your submission. If you have a website, please include your web address. Submissions will be closed December 31st, 2017. Don't have any hangover poems? Well, then crack open a bottle of your favorite liquor and do some field research.